Dr. Kevin Osborne is an Optometric Physician who earned his undergraduate Bachelor of Arts degree with Honors from the University of Alberta and earned his Doctor of Optometry degree with Distinction from Pacific University, College of Optometry in 1999. He is a member of the Beta Sigma Kappa International Optometric Honor Society. 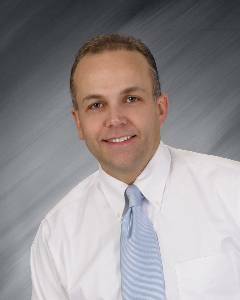 His extensive clinical experience includes an externship at the prestigious PCLI, Pacific Cataract and Laser Institute, in Chehalis, Washington. As part of his strong desire to provide to all in need through volunteer service, Dr. Osborne travelled, at his own expense on a medical service mission with a non-profit organization comprised of optometrists, dentists, physicians and other interested people who worked to provide much needed health care treatment for people in Peru. He found this experience and other opportunities to provide community service to be most rewarding.